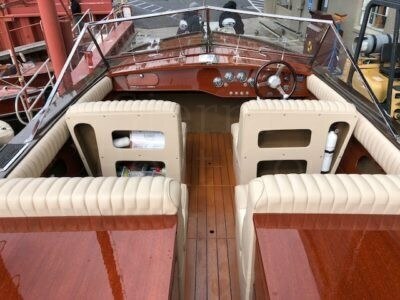 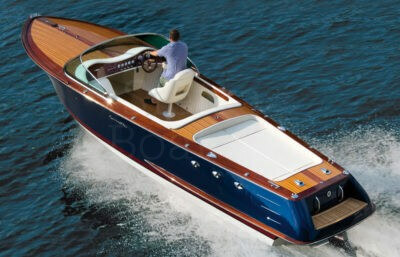 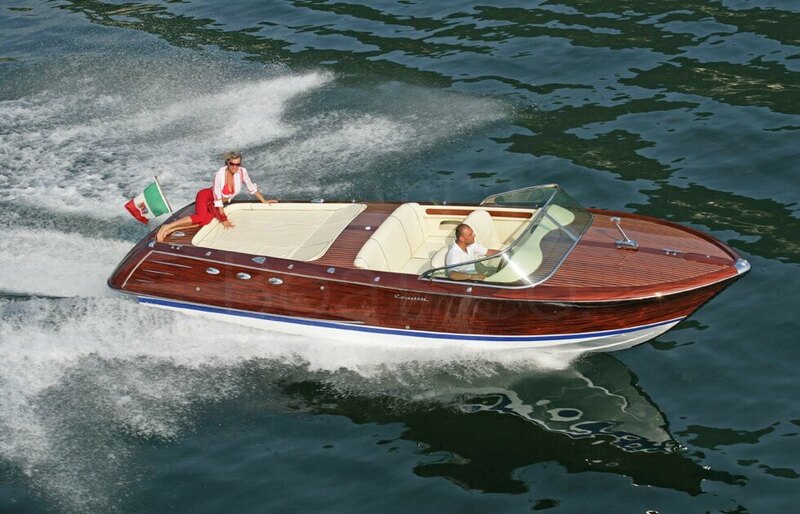 These are New Wooden Boats. 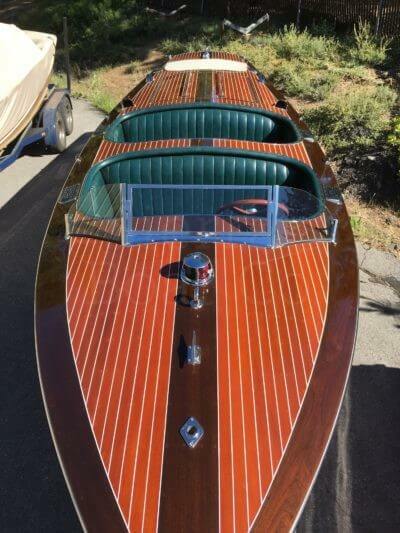 Not all wooden boats are old. This sections features newly manufactured boats from Hacker-Craft of Silver Bay, NY and Comitti boats from lake Como Italy. 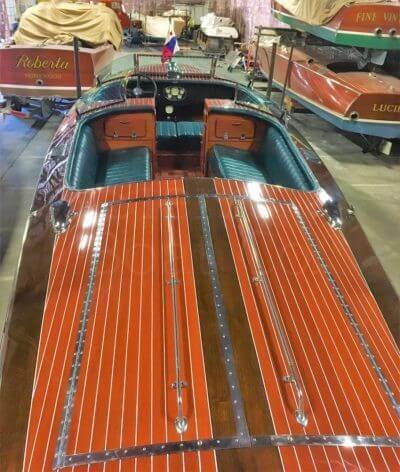 These boats both use thoroughly modern construction techniques using marine ply woods and epoxy in their construction. 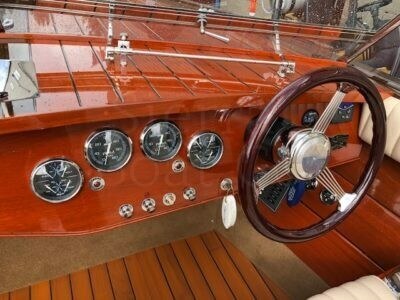 This make for very strong and stable hulls that don’t have the inherent movement problems found in traditional hulls. 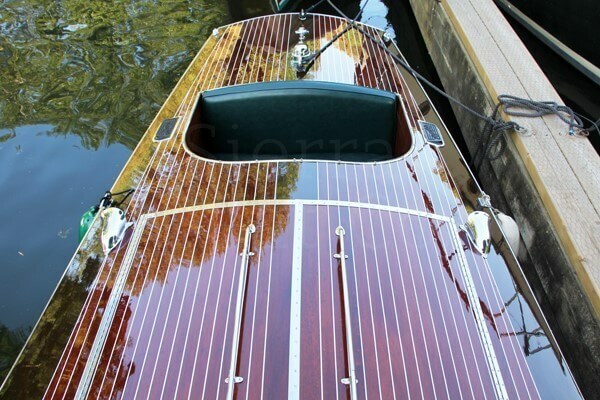 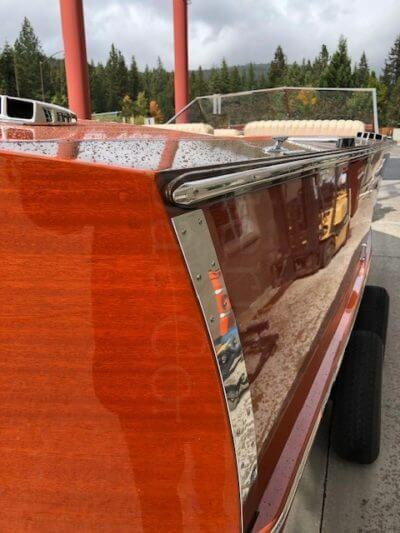 While any varnished boat will require periodic re-coating, the lack of seam movement greatly reduces maintenance. Also modern are the bottom shape , which feature soft riding, deep vee designs. 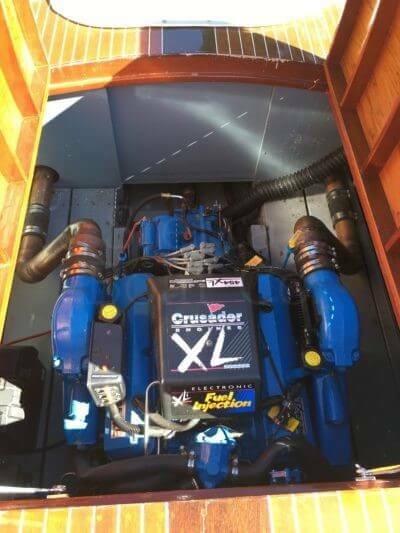 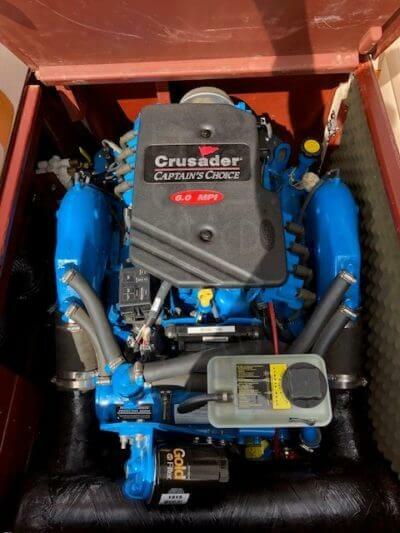 Powerful engines make them perform as well as any fiberglass boat. 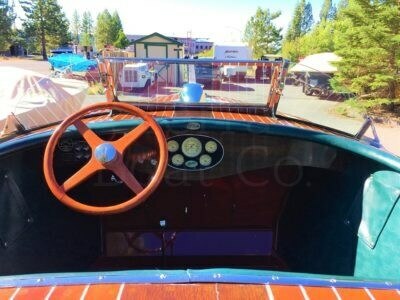 1991 Hacker-Craft 30ft Triple Cockpit. 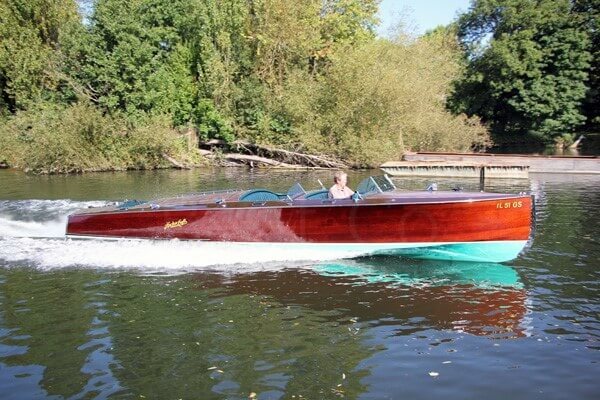 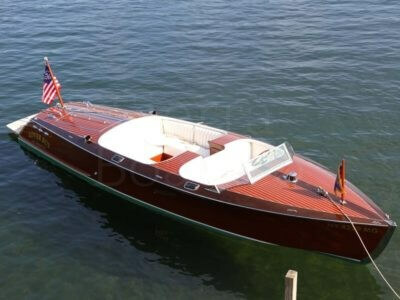 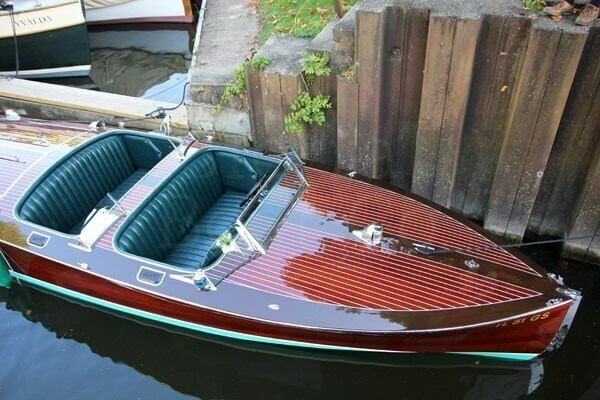 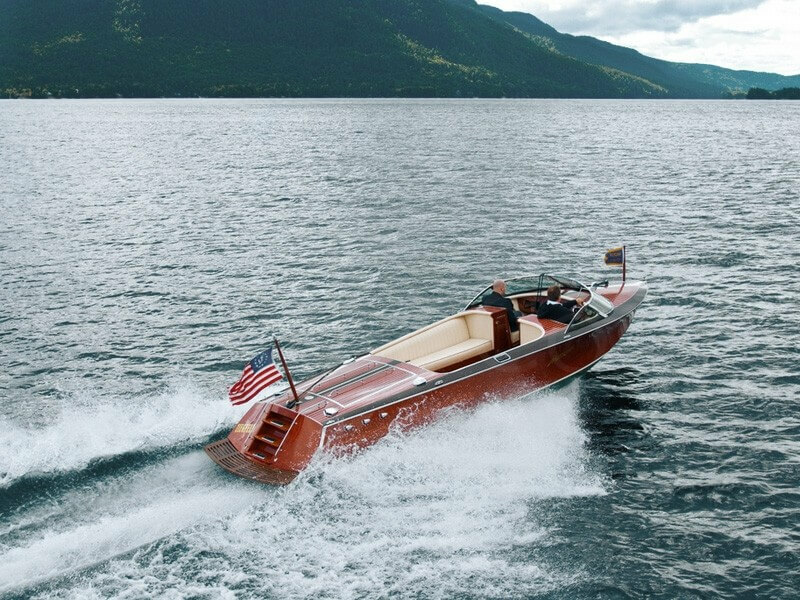 With a history stretching over a hundred years, the Hacker Boat Company, http://www.hackerboat.com, continues to craft the world’s finest mahogany boats. Hacker-Craft boats are hand built in America with some of the world’s finest mahoganies and materials available. Keeping the look of an early Hacker-Craft above the waterline, dramatic improvements have been made throughout, thanks to improved modern boat building techniques and materials. 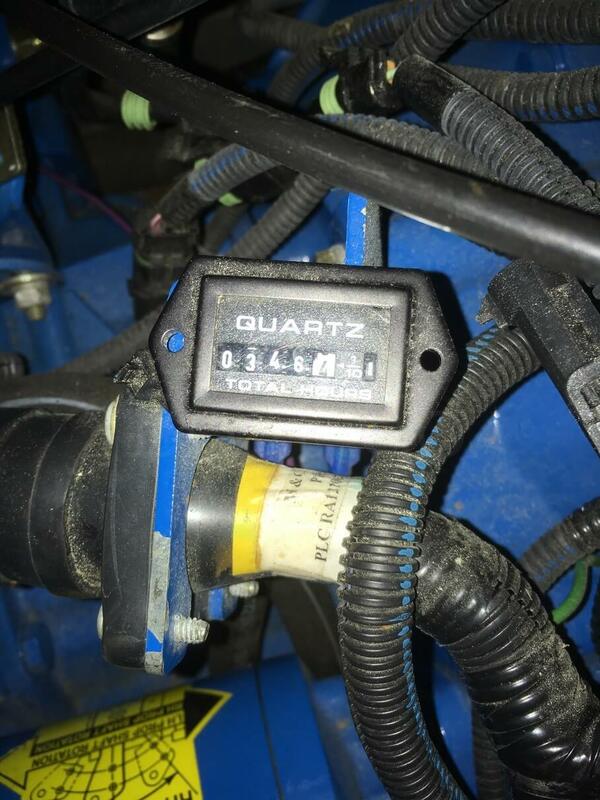 This 1991 Hacker-Craft is powered by Twin V8 Chevy 350 small blocks. 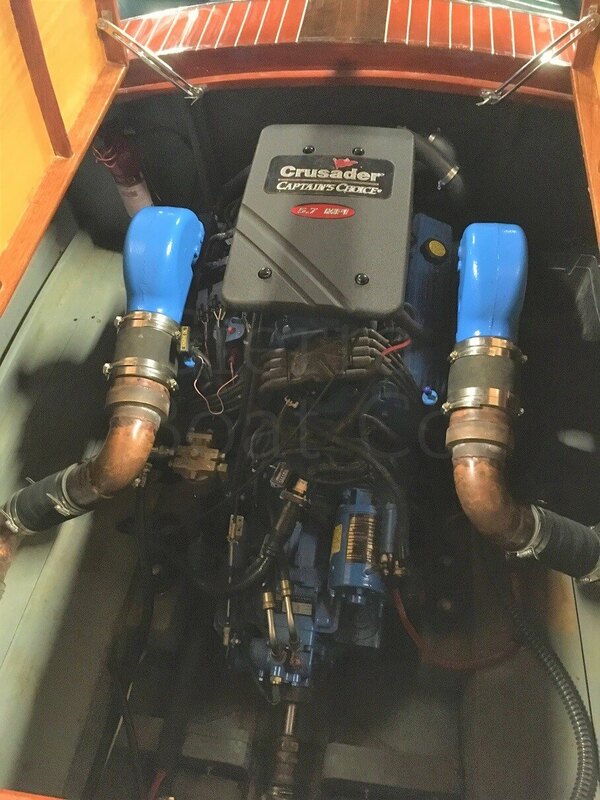 In 2017, both engines were removed from the boat to allow for a thorough clean and painting of the engine bay. They were stripped of all ancillary parts to allow for degreasing, cleaning and prepping for spraying. 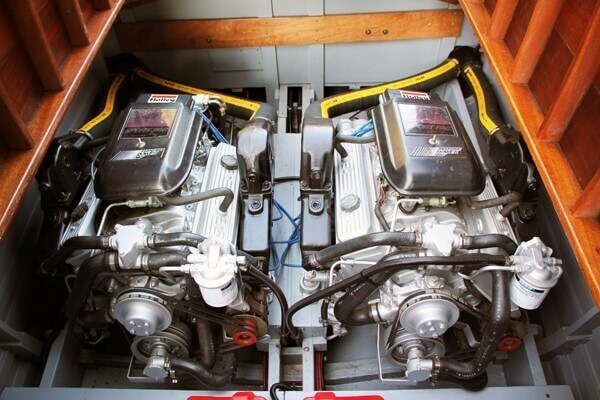 The engines were primed and sprayed with two coats of top coat. All ancillary parts were then re-fitted or replaced as necessary. New Holley Marine 4 Barrel carburetors were installed. Both engines underwent a full service and have been tested. 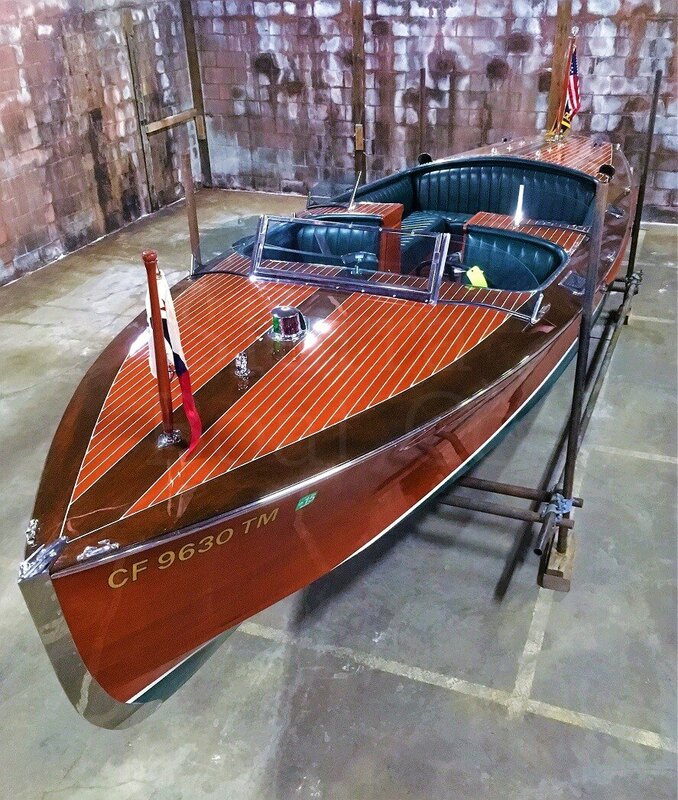 In October of 2017, this Hacker-Craft received refinish work. 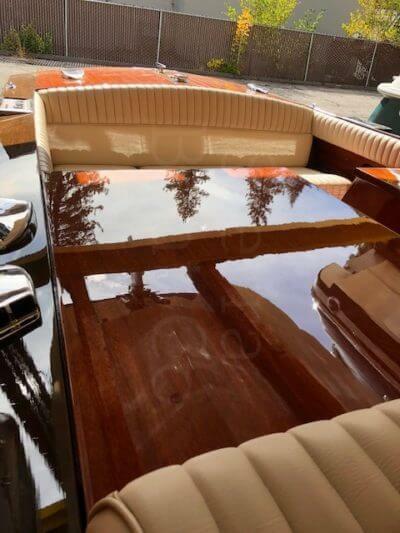 The deck and topsides were stripped and have new stain and fresh varnish. 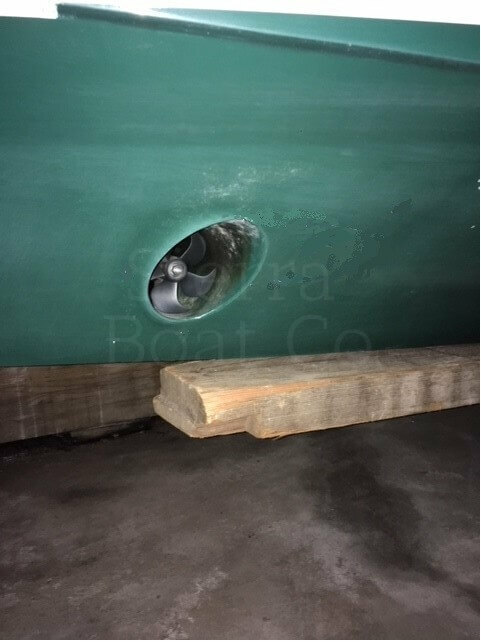 The bottom was re-painted with 2 coats of anti-fouling paint. 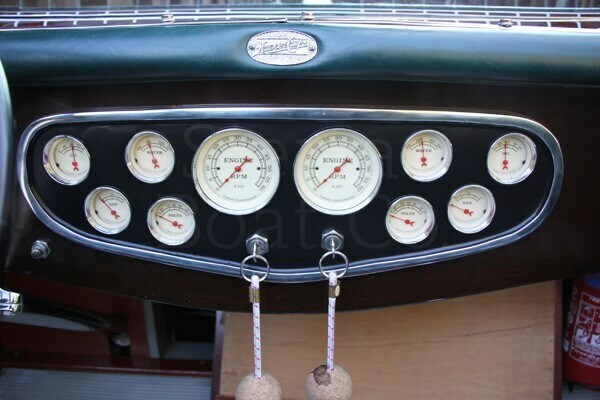 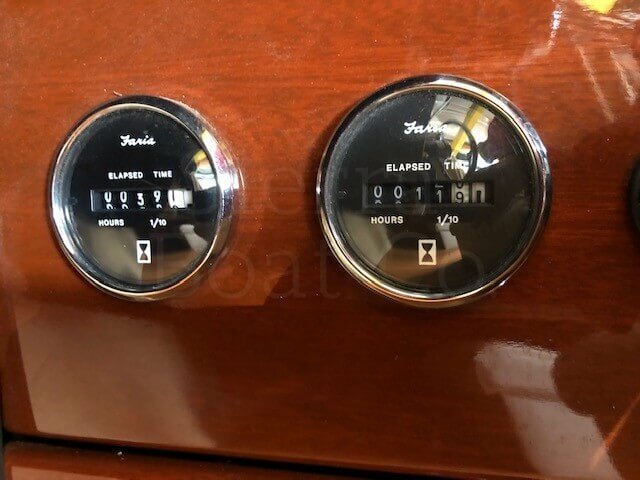 The dash panel was re-sprayed as well. 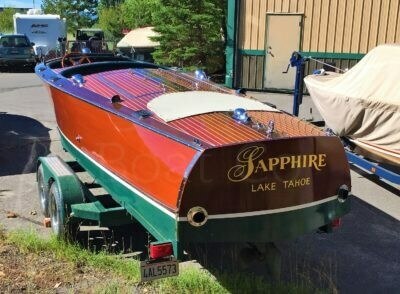 This boat is currently in excellent condition. Please Note: This boat is co-brokered by and located at Stanley & Thomas in Windsor, UK. This boat has not been inspected by Sierra Boat Company. Please click on this link for the original listing, http://www.stanleyandthomas.co.uk/brokerage/Display_Craft.php?itemID=155. 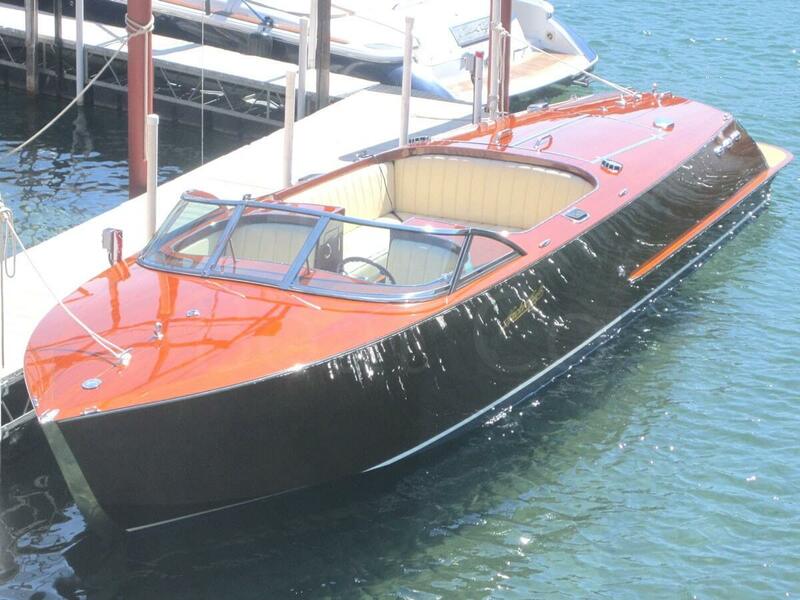 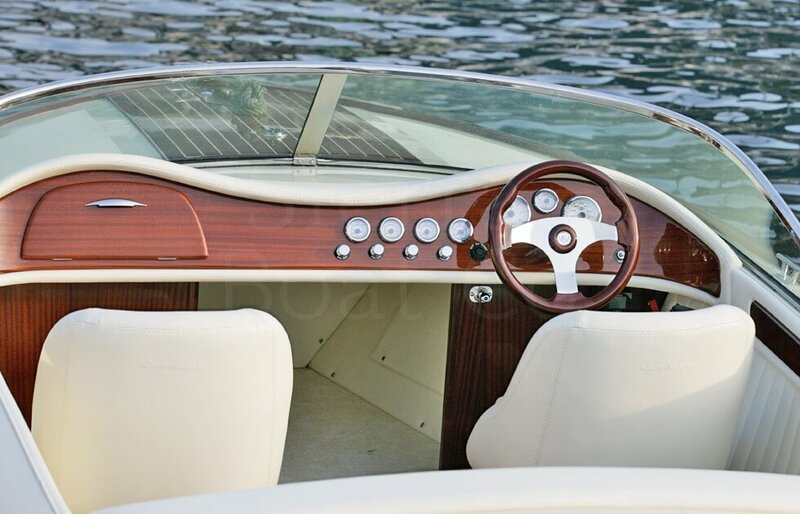 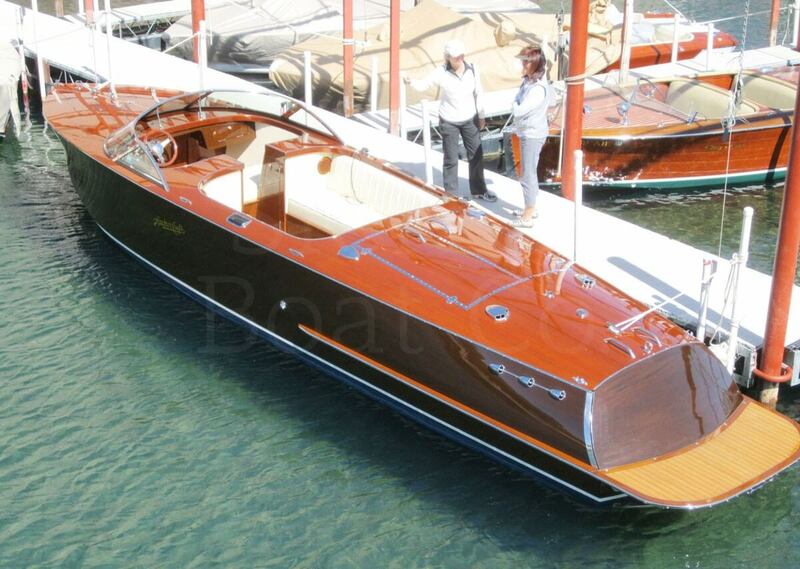 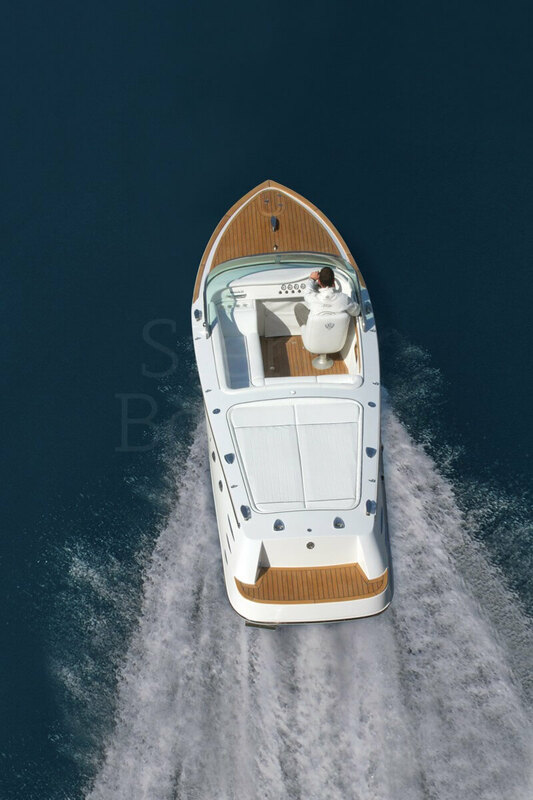 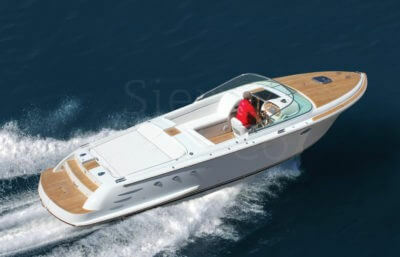 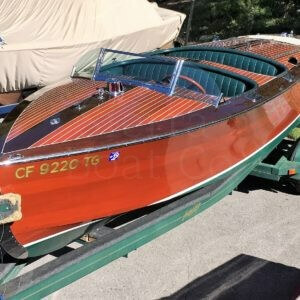 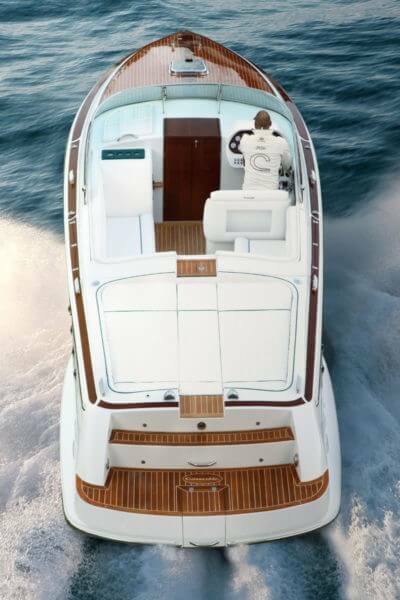 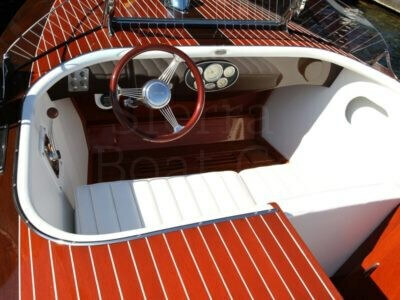 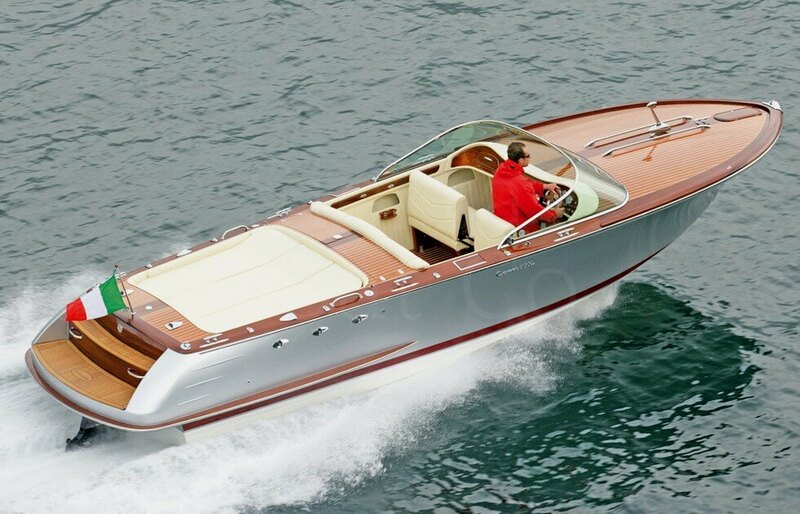 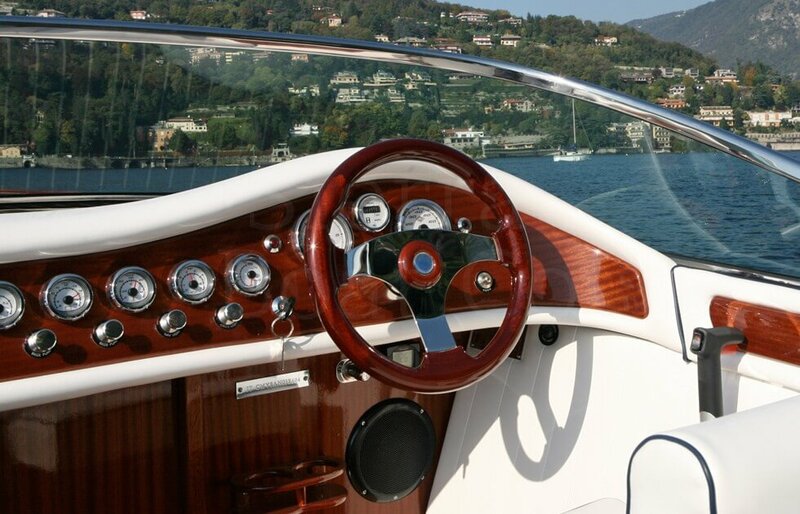 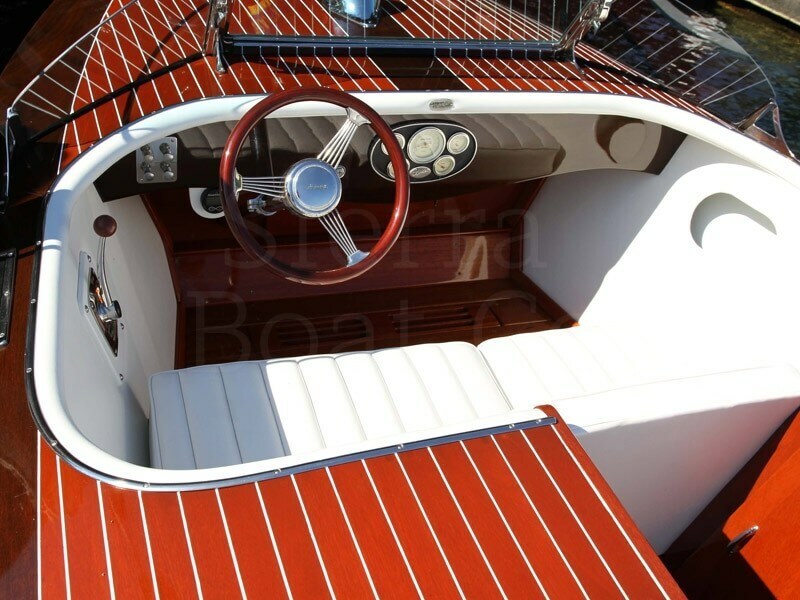 Comitti Boats, long known in Europe for building the highest quality wooden and composite speedboats, Comitti S.p.A., in business since 1956 on the shores of Lake Como, deserves a close look by powerboat and yacht enthusiasts. 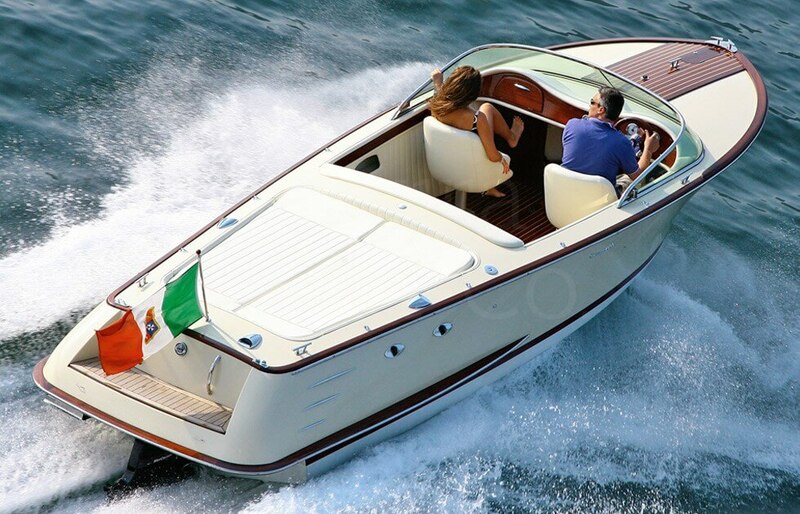 Currently building six models from 6.5 to 10.5 meters in length with gasoline or diesel power from Mercruiser and Volvo, Comitti carefully manages its production volume to build the highest quality artisan-crafted speedboats in Italy. 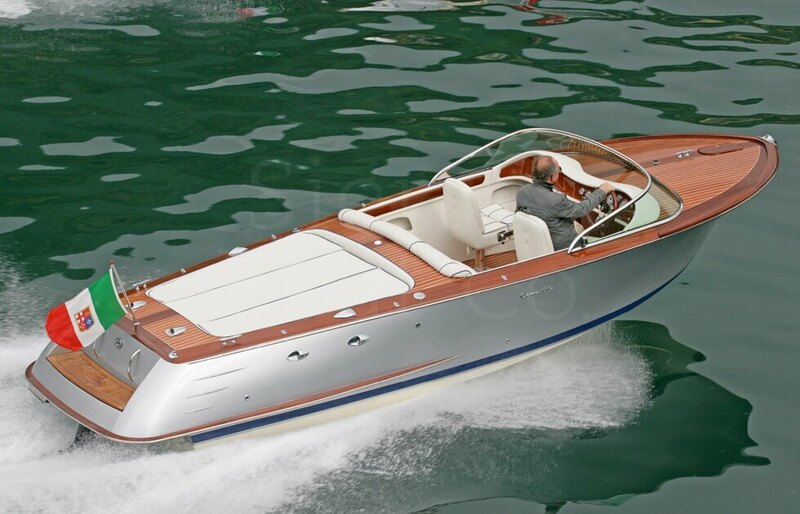 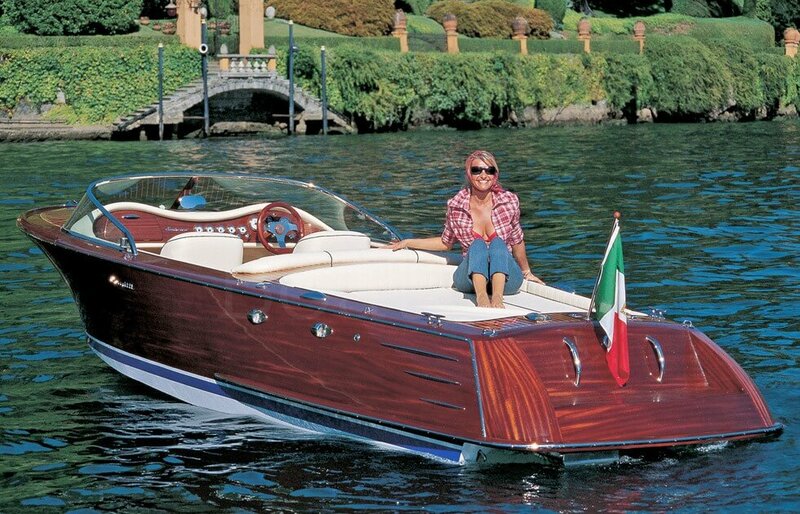 With designs inspired by the timeless style of La Dolce Vita, “the sweet life“, Comitti uses state of the art composite and wood boat building methods to produce a strong, lightweight, stunningly beautiful vessel that will last a lifetime with minimal annual maintenance. 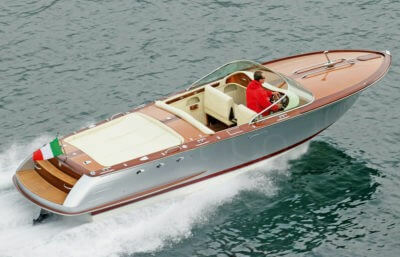 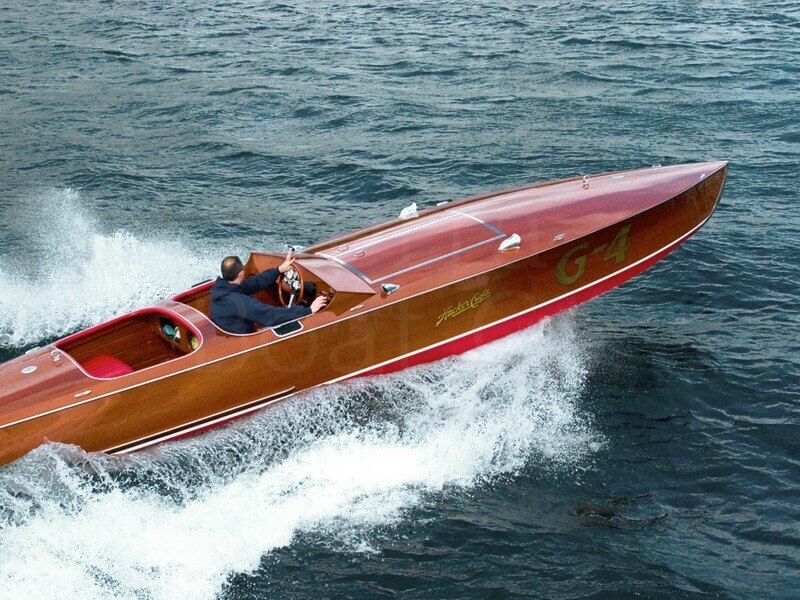 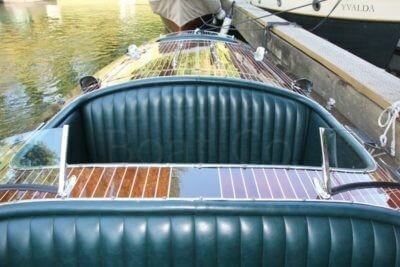 (History) In 1956, Mario Comitti began building high-speed motorboats on Lake Como. His boats were at the forefront of experimental design and expressed the Italian passion for speed. Mario Comitti son, Elia, raced the boats and built their reputation as he won race after race. 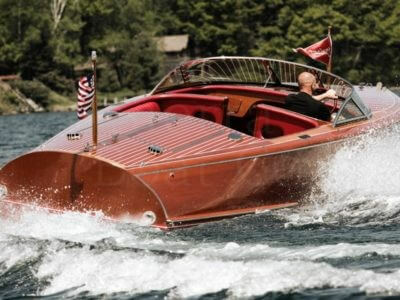 Racing designs evolved and gained elegance along the way. Design of the hull running surface, which had begun relatively flat, was the focus of much development. A new Comitti “V” shape evolved, which resulted in better rough water handling while providing an ideal wake for water skiing. 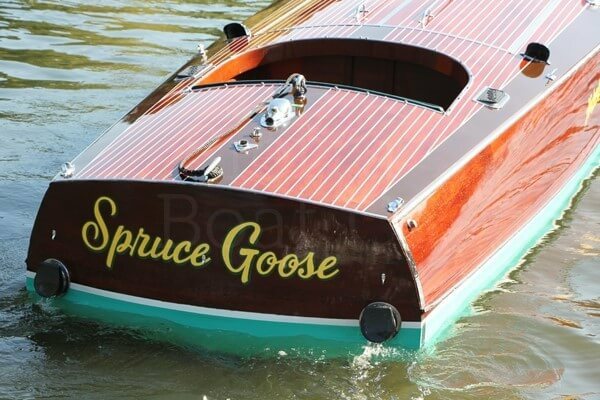 Signature down angle lift strakes on the running surface increase speed, improve handling and provide a dry ride. 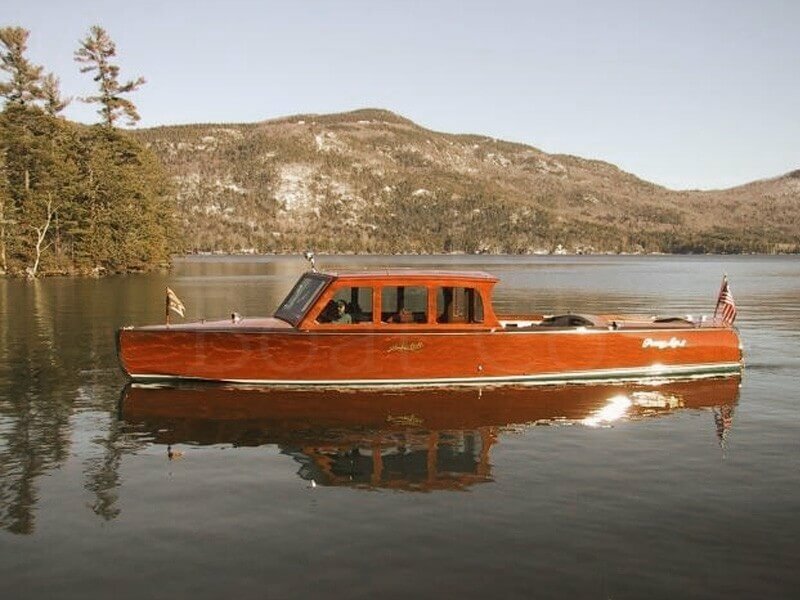 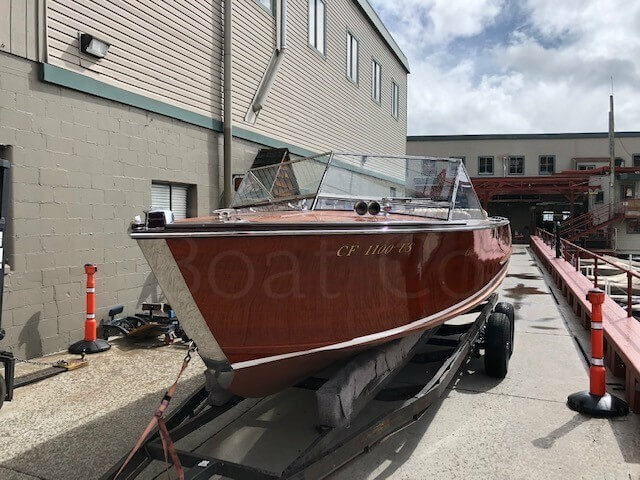 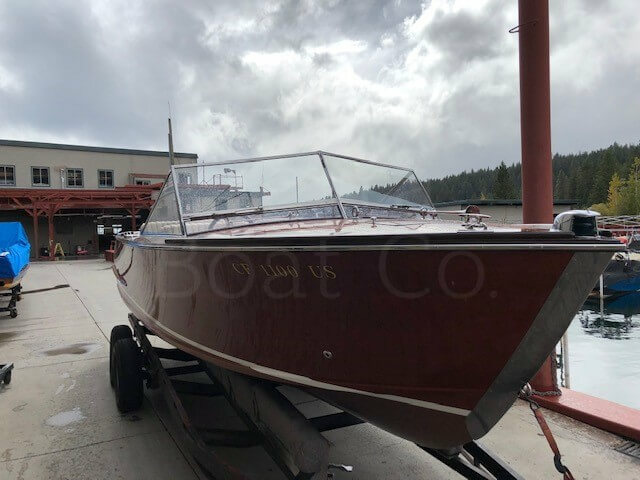 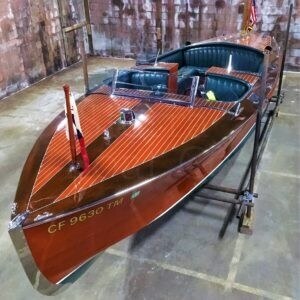 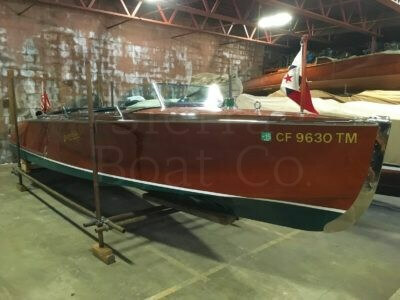 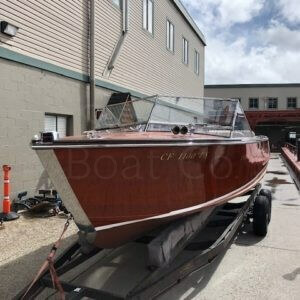 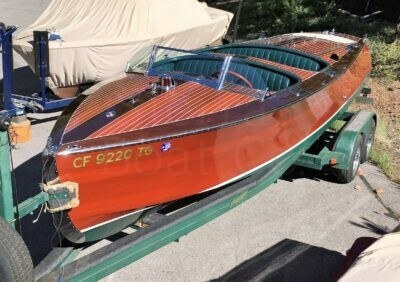 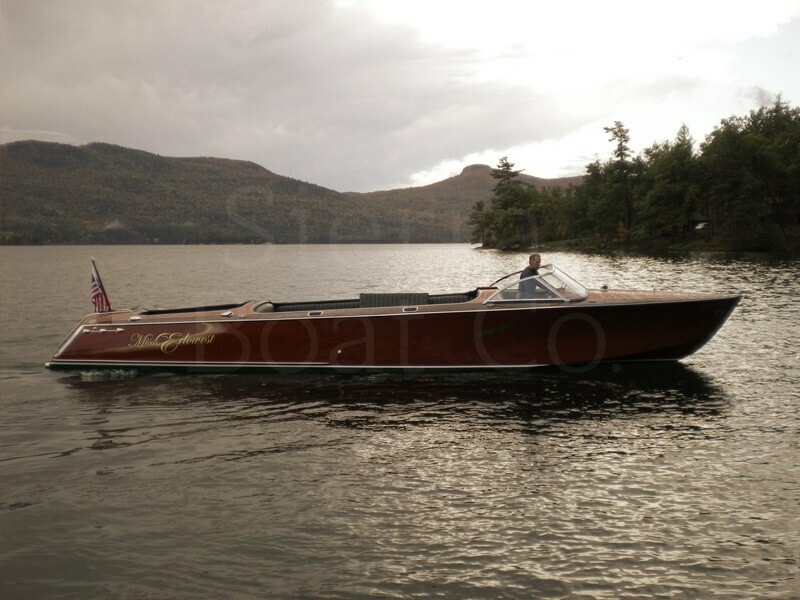 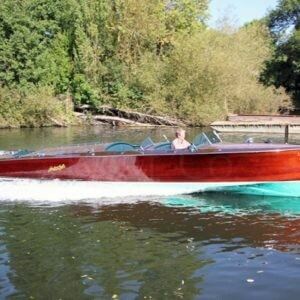 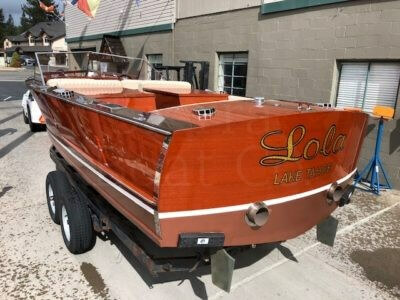 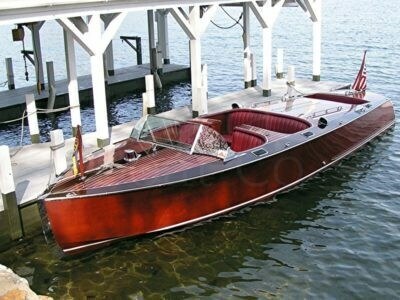 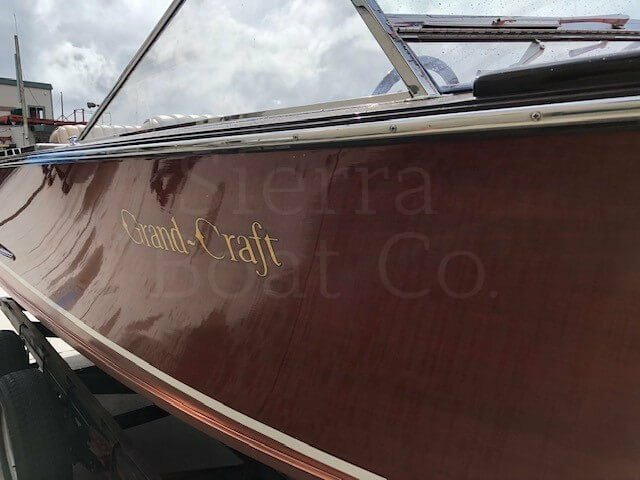 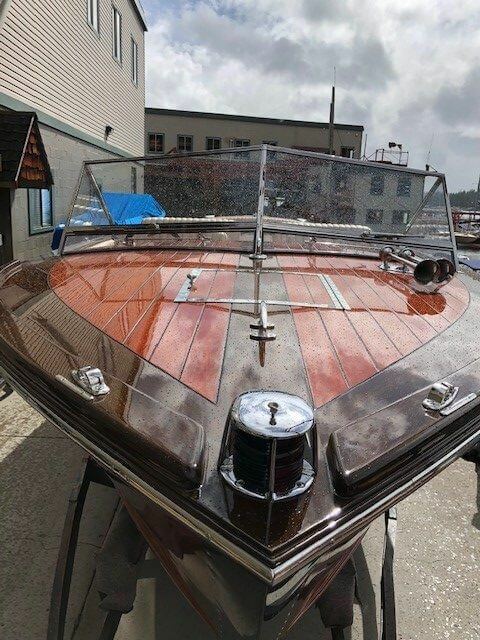 With a history stretching over a hundred years, the Hacker Boat Company, http://www.hackerboat.com continues to craft the worlds finest mahogany boats. 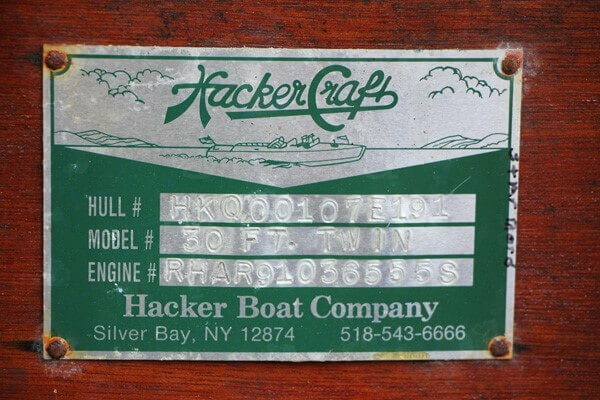 Hacker-Craft are wonderful reminders of a simpler time, when American craftsmanship was second to none. 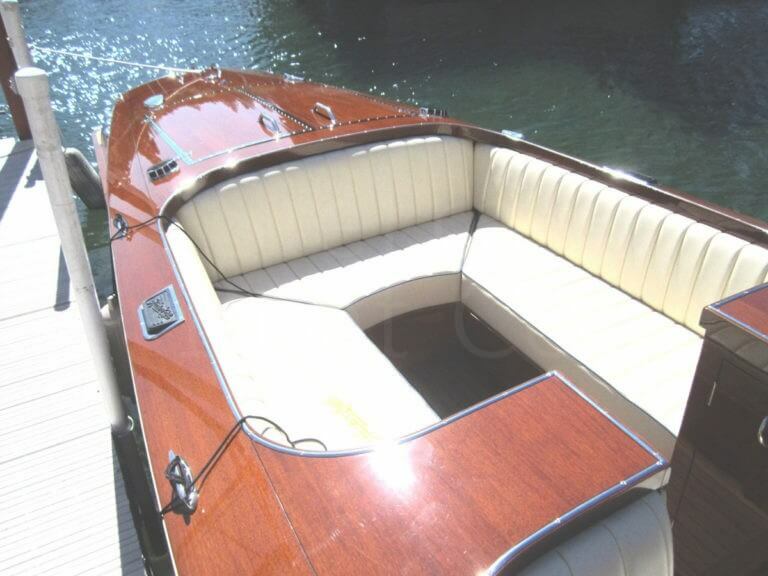 And remains so today. Our designs carry on the legacy of John L. Hacker, famed America navel architect. 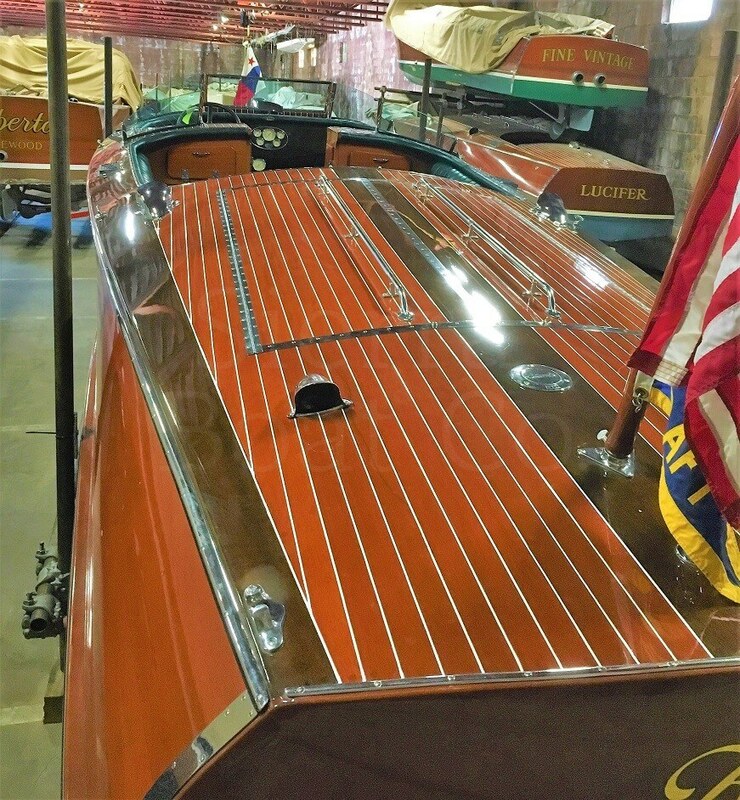 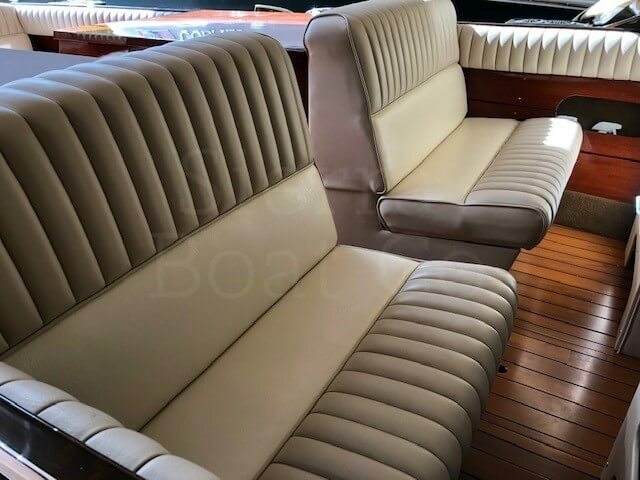 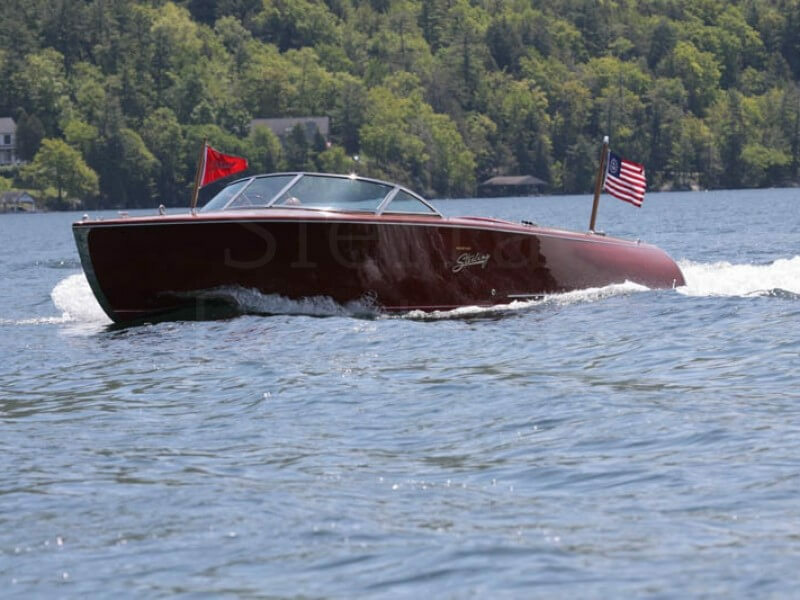 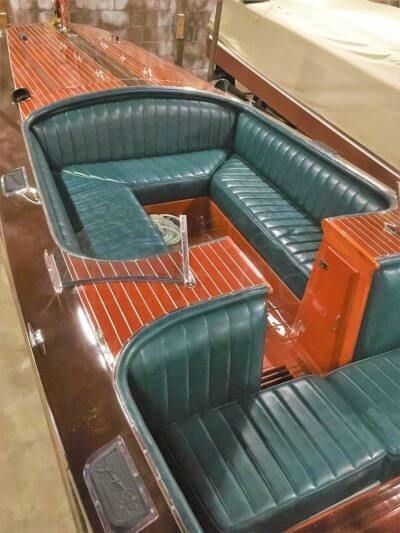 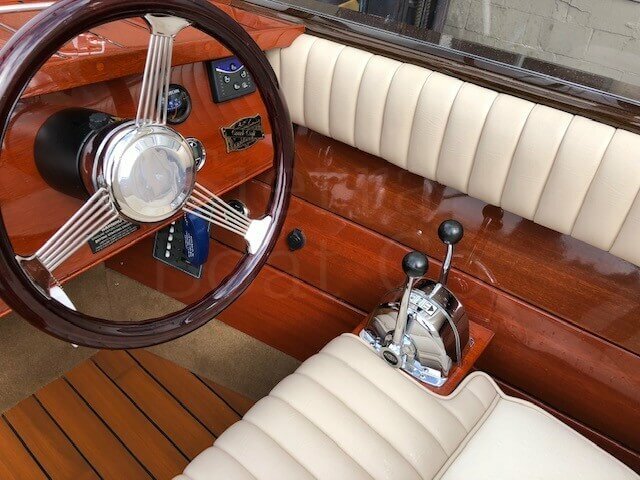 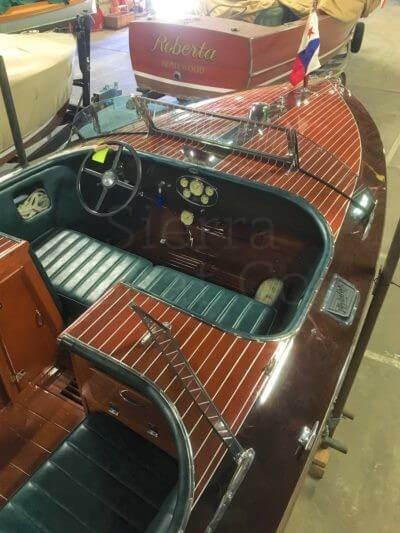 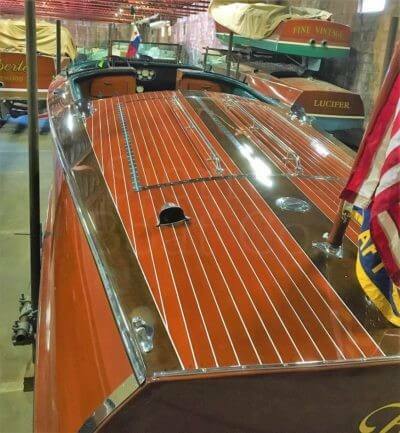 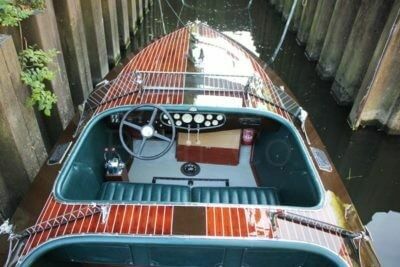 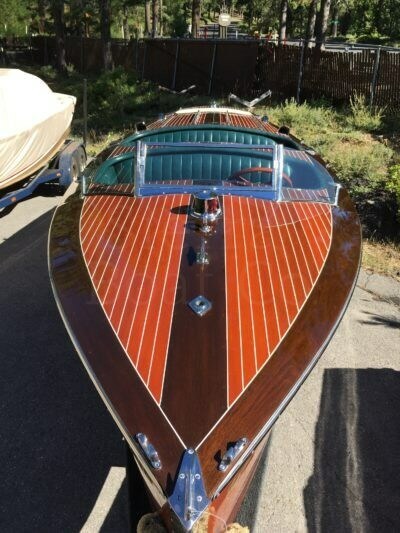 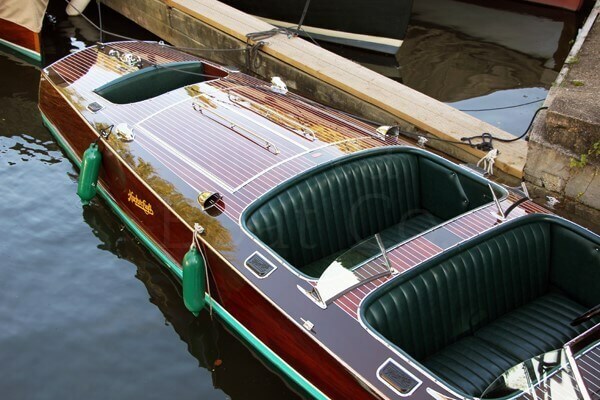 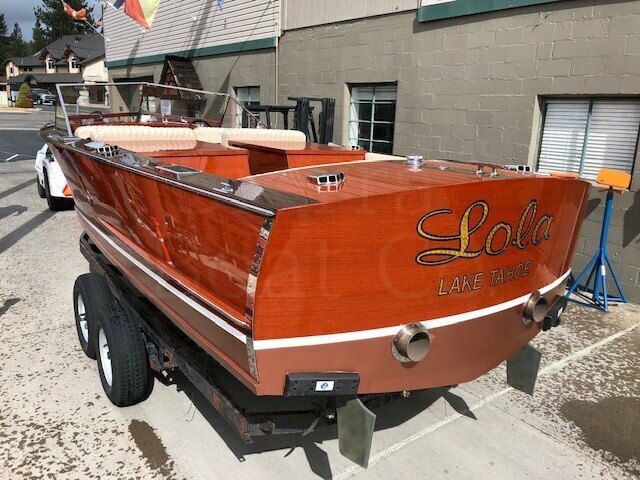 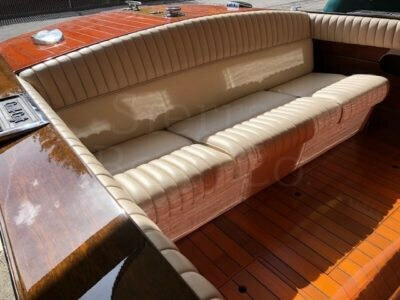 Since the 1930’s these celebrated boats have been aptly named “The Steinway of Runabouts.” Hacker-Crafts have exhilarated captains of industry, celebrities, Gold Cup racers and boating enthusiasts. 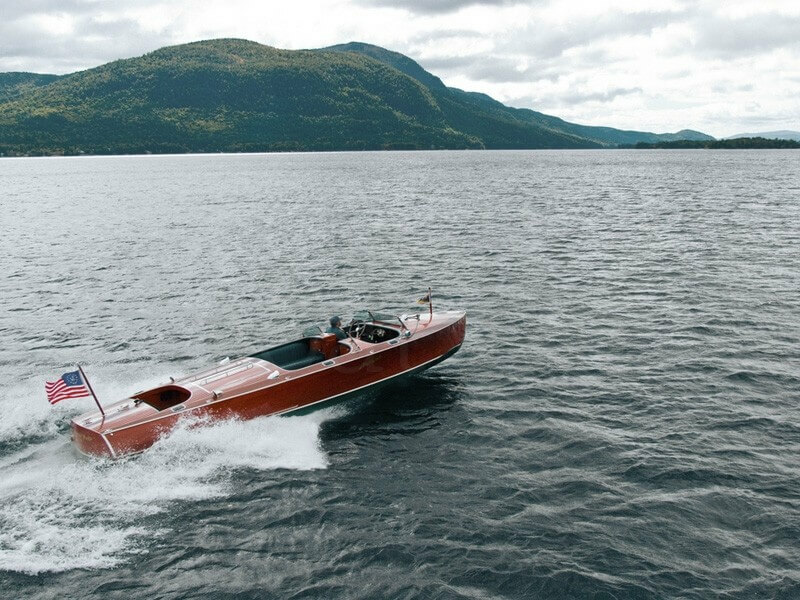 Hacker-Craft are hand built in America with some of the world’s finest mahoganies and materials available. Some of our boats look like early Hacker-Craft above the waterline, but dramatic improvements have been made throughout, thanks to improved modern boat building techniques and materials. Hacker-Craft are fully prepared for salt water use. 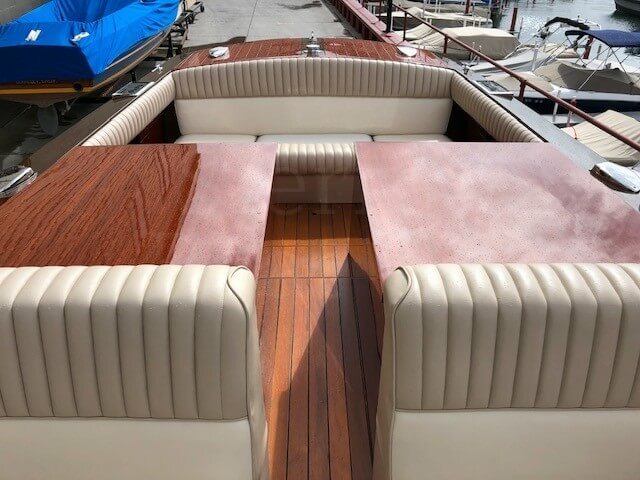 Tougher modern finishes require minimal maintenance. 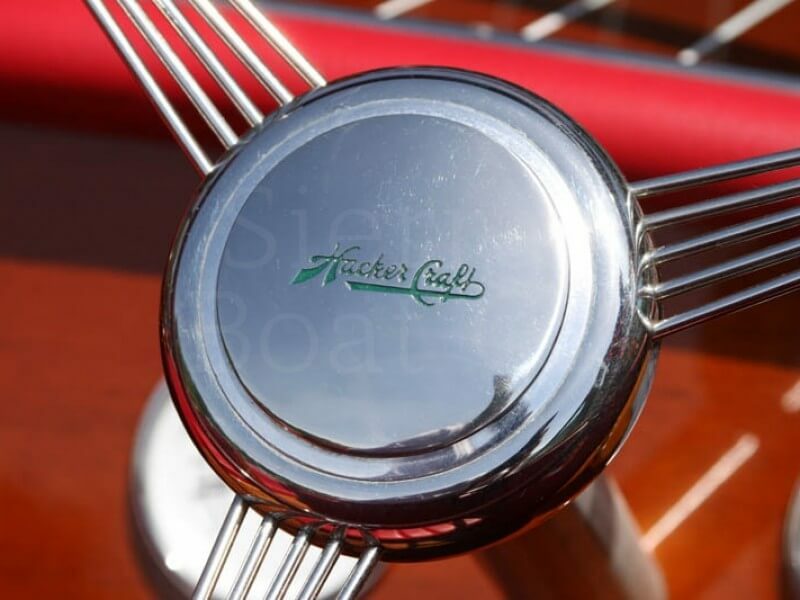 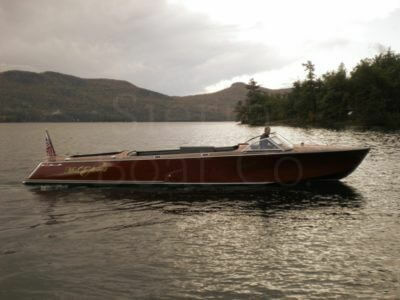 Hacker Boat Company standard models include Runabouts, Sport motor boats and Gentlemen’s racers. 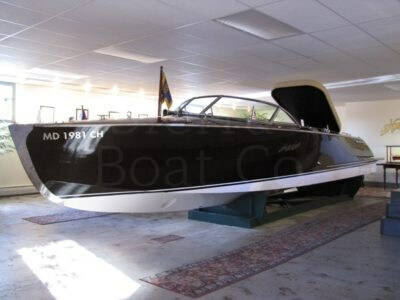 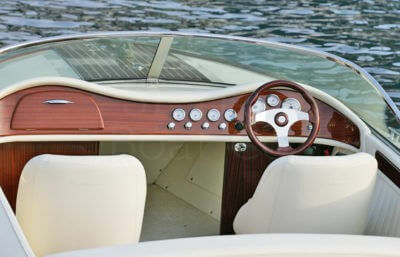 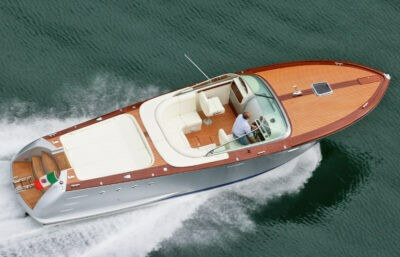 We also build custom designed boats, including yacht tenders, for some of the worlds largest and most beautiful yachts. 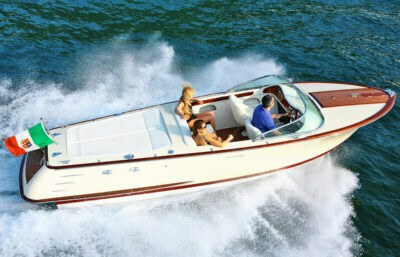 Our boats have been names by Forbes magazine as being ’50 of America’s Best” products. the Neiman Marcus Edition Hacker-Craft was included as a “fantasy gift”, in the famous Neiman Marcus Christmas catalog; the boat was later featured on the NBC Today Show. Hacker-Craft have been seen in television commercials and catalogs for some of the worlds leading brands. 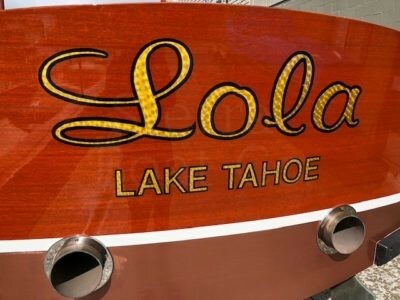 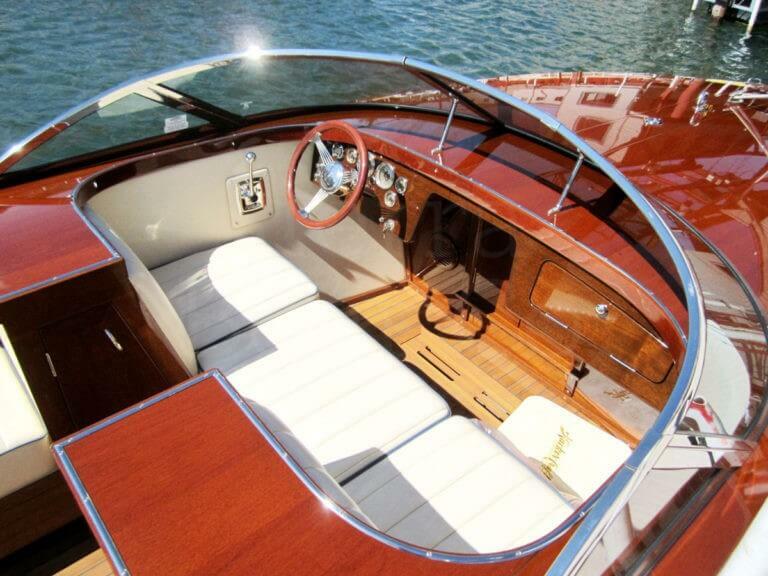 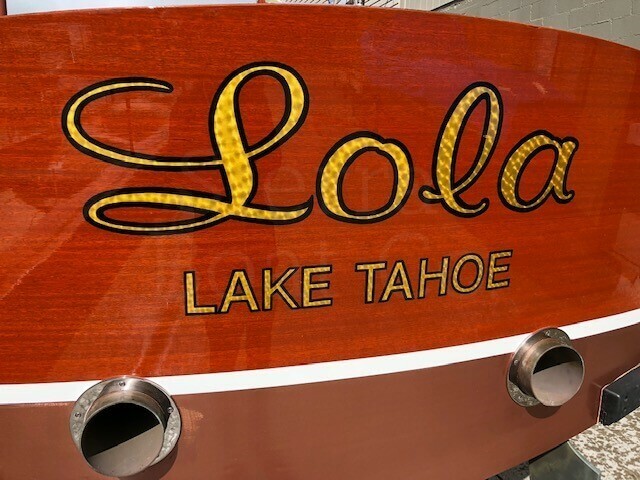 Sierra Boat Company has been named the exclusive agent for Hacker-Craft boat on Lake Tahoe. 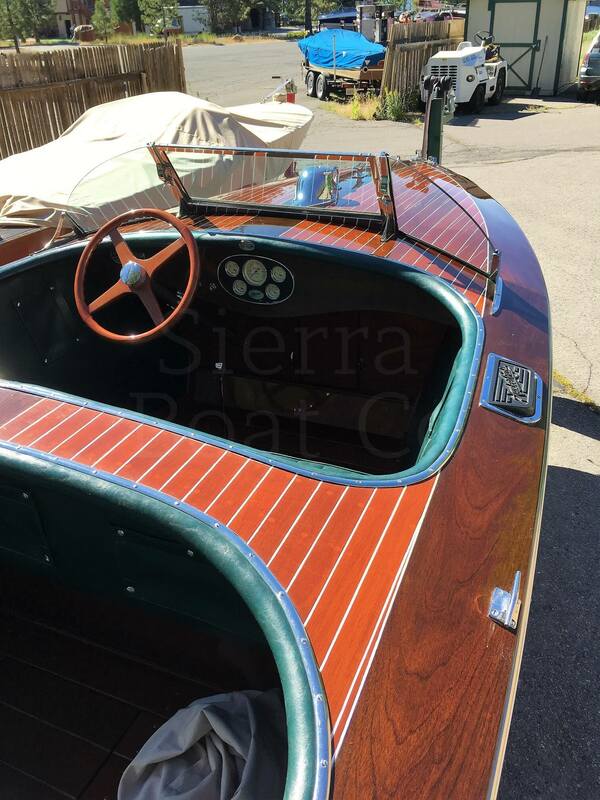 These boats have been hugely popular with our clientele and our service operation is well equipped to take care of the proper care and maintenance of these boats, http://sierraboat.com/services/. 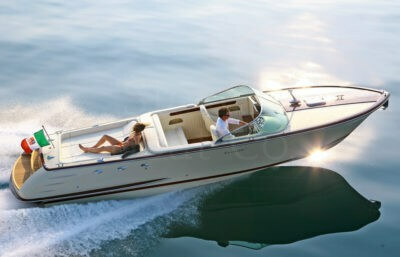 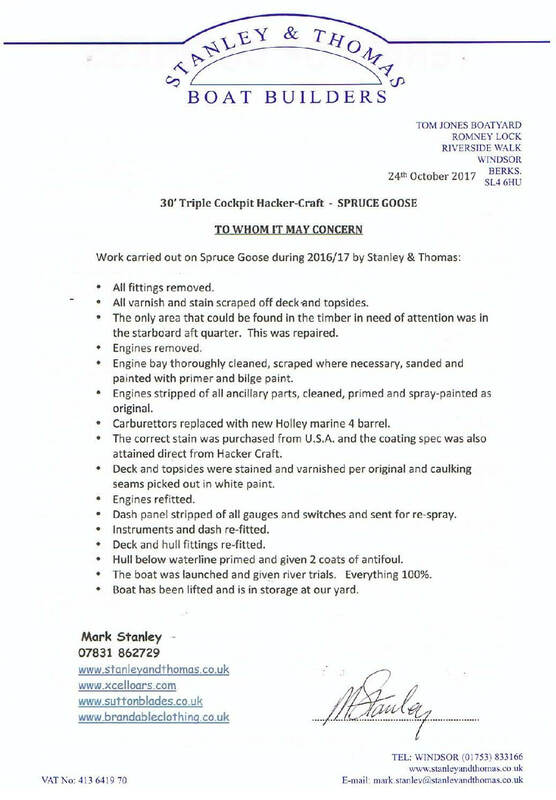 We frequently have a supply of well-maintained used boats or would be happy to assist you in the purchase of a new model. 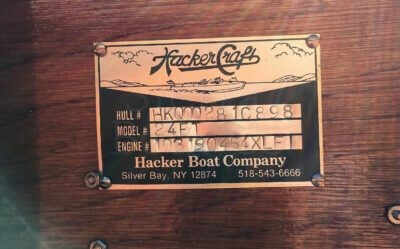 Builder : Hacker Boat Co.